Follain, which means “healthy, wholesome, sound” in Gaelic, is a darling of the clean beauty community and for good reason: Founder Tara Foley has made it her mission to not only rigorously test and approve each product she retails, but to educate each customer on safe ingredients with warmth and approachability.Tara began her own journey toward clean beauty in college, where as an undergrad she studied public policy. When she realized that practicing law was no longer her passion, she took a job in marketing and in her spare time, because immersed in New York City’s health and wellness scene. As she began learning more about “good” vs. “bad” ingredients and how they effect the body, she put her public policy background to work. To her dismay, she quickly realized there was—and is— an immense lack of safety standards in the U.S. beauty industry. 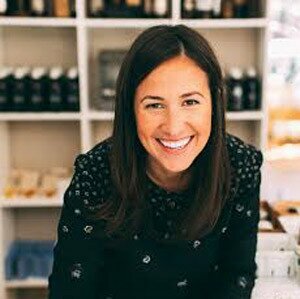 Foley, emboldened by her eagerness for educating others, began a blog, TheNaturalchemyst.When a post that listed “green beauty” stores in NYC gained a huge amount of traction, she knew she was on to something. After working on a lavender farm in France for six months, meeting with private label product makers and learning everything from formulation to packaging, Tara applied to grad school, where she eventually won a nationwide contest for her business plan: to open a brick and mortar clean beauty store that would change the face of the beauty industry. With stores in Boston and Nantucket and one slated to open in Washington, D.C. in 2015, Follain is a testament to Foley’s tenacity, vision and unwavering belief that an educated consumer is an empowered consumer. The W.E.L.L. Summit is thrilled to welcome Tara Foley as she explores the clean beauty movement, explains the Follain Safety Pledge and shares her contagious enthusiasm for making a difference in the world!